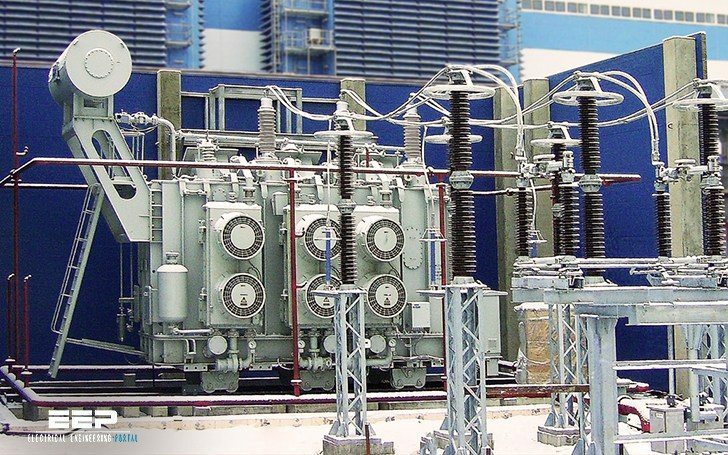 When we enter into the topic of generator loading we must consider whether or not the connected electrical system is very large and hence strong or smaller and weaker. The first is classed as infinite and the second finite. A generator connected to a very large (infinite bus) electrical system will have little or no effect on its voltage or frequency. In contrast, a generator connected to a finite bus does have a substantial effect on voltage and frequency. It is normally assumed that when a generator has a capacity of greater than 5% of the system size, then with respect to this generator, the system does not behave as an infinite bus. For example, when an 800 MW generator is loaded onto a grid having a capacity of 10,000 MW, the system voltage and frequency can vary and the system will behave as a non-infinite bus. There really are two parameters, which can have direct electrical impact on both the plant and the grid. 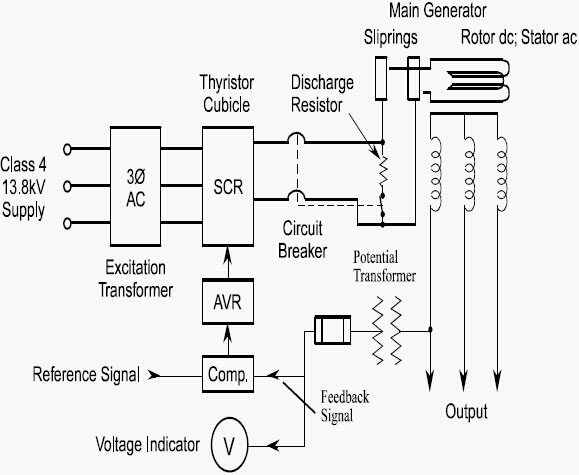 The AVR, which automatically adjusts the generator field current to maintain a desired generator terminal voltage (or reactive power loading). The speed governor that is a closed loop control system that activates the steam inlet valves to the turbine to control the speed of the unit. When the unit is synchronized, the governor also controls the unit loading. When the generator is on no load, the excitation system has to provide sufficient flux to cause the generator to produce rated voltage at rated speed. From no load to full load operation, the excitation current has to be increased to counter-act the effects of armature reaction. Typically, between no load and full load, the excitation current has to be increased by a factor of 2.0 to 2.5, for example 1700 A to 4000 A. When faults occur on the grid system, due to lightening or other causes, the voltages are depressed or reduced. An excitation system must have a very fast response. It must be able to increase excitation very rapidly (typically within 0.25 seconds) to counter-act these voltage depressions and in turn, quickly restore the main ac generator output voltage to normal. The actual AVR feedback control system can be one of many types, from separate DC generators to AC fed rectifiers. The excitation current goes around 20Adc in continuous service or 30Adc for a short period in Brush – Prismic A30 Excitation System or up to 40Adc-peak in Basler Exciters . In largest machines the excitation current is maximum a couple of hundreds Amps.